On a day when I took some time off from work to run some errands, I looked down as I was walking down my stairs and noticed a rip/break on my Microsoft Band 2. A little more intense examination revealed that the “thermal plastic elastomer silicone vulcanate (TPSiV)”, that is, rubber band part had torn and separated from the middle display part. While it was still connected and running, this was clearly disconcerting. Since all of the components of the Band are integrated together into the device, you can’t simply replace the band part of it. No worries, however. I had bought this a couple of months ago and I’d even paid for the extended warranty, so I was covered. What I didn’t know was whether this would be a pain in the derriere to have resolved. I needed this resolved because after two months of owning this, I can’t imagine living without out it. The feedback I receive has helped me drop over 15 pounds, get fitter and work to get more sleep (still working on that one). While I have a long way to go and no one will confuse me with Chis Evans, I’m definitely fitter and healthier; I also love the quick notifications. (I’ll review the Band separately later). After my morning errands, I drove to the Microsoft store at Southpoint Mall in Durham to see about getting a replacement. How was I greeted? Did they reluctantly come up and grumble and suggest I did something wrong? Did they give me a number and suggest that they would be able to help me in an hour or two? Absolutely not. I walked in and was met by their point guy who was greeting incoming customers. He apologized for the Band breaking and quickly set me up so that I could have it resolved with a new Band. This didn’t just involve getting a new Band out of the back, but setting up, testing (I wanted to make sure the GPS would work because that failed on a previous unit) and transferring my warranty information to the new Band. So, I gave him the old knowing this would take a bit. So time to check out the toys. I looked at the Microsoft Surface Book (I seriously love this). While doing so, an employee came over and checked in on me, asked if I wanted anything to drink, he chatted with me a little bit about what I do, about some of the devices I have and then suggested taking the demo of the HTC Vive, a VR device. By the way, all of this is happening while the store has plenty of activity. It wasn’t super busy, but it wasn’t exactly empty either. The HTC Vive demo is some of the best wait time I’ve ever had on the planet. Their demo includes standing on a sunken ship in the ocean and watching fish and a huge whale swim by while utterly immersed in the ocean depths. A painting demo where you can use different brushes and not only can you paint all around you, what you paint stays in 3-D. So if you paint with oil brushes, these ribbons of light-paint are displayed in the air all around you. You can walk around, underneath and above them; if you paint something spherical you can walk around the sphere. Really cool. Finally, you save the world by shooting up alien ships trying to take over the world and your super sleek spaceship. When the fun was done, my Band was ready. Not only did they give me a new Band, but since I had a screen protector on my old Band, they put a screen protector on my new Band and they threw in the charger that came with that unit. So I’m coming in with “problem” and they greeted me with open arms, offered stuff to drink, suggested a cool demo of the game and went above and beyond in making sure that my new experience was at least as good as my last. Almost all of my dealings with Microsoft, either through the web or through the store have been good, but this was just one of those times where everything was done perfectly. All of the folks that helped, there were three of them whose names I’ve unfortunately have forgotten, were polite, helpful and informative. So, as much as we all like to fuss and complain about bad service in retail, I simply want to highlight a really stellar customer experience with Microsoft’s Store and some great employees. Headphones, whether large or small, in-ear monitors or over-the-ear headphones (and anything in between), are a relatively large part of my life. I connected with headphones more seriously when I started having children. Gone were the days when the boom from an explosion of the blown up starship as it reaches Coruscant could reverberate through the house, the tight percussive sounds of Phil Collins “In the Air Tonight” drum the ears or “Ode to Joy” from Beethoven’s 9th viscerally wash over me through loudspeakers. Then we became mobile. First through the Walkman, then MP3 players and now our phones – we took our music with us. Finally, I came to notice that you could get headphones that faithfully represent music for orders of magnitude less money than loudspeakers that can do the same. So while I still watch movies with “real” speakers and occasionally listen to music with loudspeakers, the vast majority of my music listening is through headphones. Through all the iterations, I come to consistently using three headphones. Three? Wouldn’t it be better to spend more money on one set than three? While I didn’t plan on having three, let’s look at the journey that led me there and it may not seem so whacked. It might even help you on your musical journey. Mostly, if you care about music, I encourage you to explore something beyond the Apple “Earpods” (I can’t quite write that word without quotes) or Beats by Dre through which to enjoy your music. Your ears will thank you. 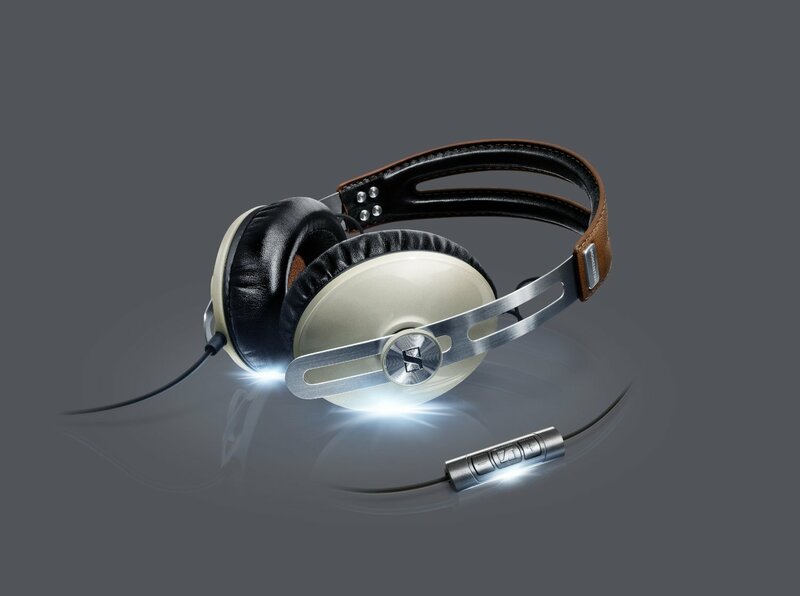 While I toyed early on with some OK Koss headsets and, the little more serious Telefunken headphones (back in the day), I first stepped back and began to pay attention to headphone sound when I got a pair of Sennheiser PC 160 headphones (for a “steal” at $45 – I still use my old pair with Nuance’s Dragon NaturallySpeaking for dictation). The audiophile among you will laugh, but they were my first foray into open-back headsets and, while not going deep or having quite the detail a true audiophile set would have, they were considerably better than anything I used before (which was especially surprising given that I bought them mainly to record software demos). For those of you who’ve never known the delights of open-back headphones and their tendency to have a wider soundstage and be designed to produce more detail, you are (likely) missing the sweet, pure joy of wide, clear sound. Later, I got a pair of Panasonic semi-open back earbuds for you with my iPod for mobile use. Now was the time for an epiphany. While everything I used up to this point was fine, I had read that the best headphones for the money were Grado SR60s. I believe they were $70 when I first got a pair in 2009 (which was a lot for me but obviously at the very low end for quality sound; their slightly updated brother, the SR80’s were $90). Up to this point, I had been listening through murky waters and didn’t even know it. These cans were crisp and clean, producing remarkable detail and not coloring the sound at all. I mostly listen to classical music and jazz, so I particularly like their faithfulness to the original sound recorded despite the fact that they also were a little light on the bass side. If you want the clarity of the Grados with more warmth and punchier bass, the price starts climbing quickly and these were already more than I usually spent on headphones. Not only do they have the added bonus of giving a retro/ham-radio-operator look, Grado is a seriously cool family-based company where they make all of their headphones right in Brooklyn. I believe that there was (as still is) nothing that can touch them for clarity and faithful sound for $70 (or even the current price of $80). Alas, there were a couple of issues; as lovely as the SR 60s were, they’re not exactly mobile. You don’t want to be sweating with them, cutting grass with them, or walking greenways with your dog. Moreover, they have a long cord (7 feet) which is lovely when you’re at your desk or in the den but not so much when you’re doing the dishes. Also, while open-backed headphones have a great soundstage, they let sound in so you hear ambient noise, conversations and just about everything around you. They also leak noise; if you happen to eschew sleep for the sake of your addictive reading habit and like to listen to music at the same time, these are not the headphones your wife (or husband) will appreciate. She will hear everything, albeit at a lower volume, that you hear. So I needed to come up with a portable solution that kept music in and unwanted sound out that was reasonably priced yet still faithful to the music. Clearly, I’m not looking at something like Urbeats (or Beats anything). At the time, the Klipsch S4 Image in-ear headphones came to the rescue. I could get S4s on Amazon for between $30 & $45 back then, they had a tight seal for passive noise cancellation and had clear mids and solid bass with controlled treble. While I preferred the sound of the Grados, these worked well and solved my two problems. Issues I had with these headphones is that they are quite small and easily misplaced (not their problem, mine), they’re relatively easy to break and they have loud “cord-thump” (when you move and the cord hit you, your clothing or something around you, the sound is transferred up the cord to you). The other issue is that they keep going up in price. They’re now $100. For that price, I was ready to try something else. I had always been interested in the Shure’s in-ear monitors (think about the headphones you see on performers as the sing on stage that seem embedded in the ears). I’ve posted earlier about how good their lower-end SE215s are and their high-level of customer service. What I’ll say here is simply that the Klipsch S4s can’t hold a candle to them and they are equivalently priced. Man, I’m so glad I switched. The sound is better, they’re more stable since they’re true in-ear monitors, you can replace the cords (not so on the Klipsch which lost me a couple), they have much less “cord thump” than the Klipsch and they deaden outside noise even more. Now the Shure’s are also a bit more of a pain to put in your ear, but acoustical bliss comes at a price. Due to their fit and how they lie flat to your ear, you can lie down with them without causing pain to your ears. These were my mobile solution. One upgrade I hadn’t planned was initiated from a colleague at work who was upgrading to a new headset and gave me a great deal on his Grado SR 80s. The SR 80s have all the benefits of the SR 60s with a little bit more warmth and better handling of bass, so this was a lovely surprise indeed. So this had been my breakdown – Grados for long-listening in a relatively quiet and stable spot and Shure’s for mobile or environments where open-backed headphones weren’t a good solution either due to a lack of passive noise cancelling or noise leakage. I was a happy camper with astonishingly good sound in the full knowledge that as an active father of four, the audiophile life was not for me. 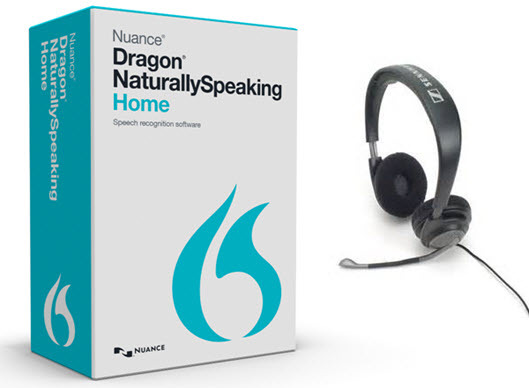 I look for the best sound I can afford for focused and active listening. I’m often moving with headphones and I mostly listen through my phone, my computer or my beautifully clear but relatively low-end DAC. These cans meet my realistic, active lifestyle that doesn’t afford sitting in an acoustically accurate man cave with high-end gear. These principles have remained as has the love for open-back but the need for closed as well. A bit over a year ago, I changed the mix a bit to include a pair of lovely Sennheiser Momentums (original over-the-ear Ivory). While I love open-back headphones, these have a startlingly wide sound stage, they handle all the bass thrown at them (although it could be a bit tighter), seem to mellow out the more strident notes while remaining faithful to the music and you can wear them forever without pain, heat or any discomfort. Most of all, their balanced design makes them good at handling any type of music you throw at them. Finally, ain’t they so pretty. Seriously, these are a good looking set of cans (sorry Grado). While I focus on classical and jazz, my tastes are varied and eclectic. These are my go-to headphones for almost any kind of use. They deliver great detail in the midsection, serious bass (albeit not quite as tight as I would like), perfectly pitched treble and they look fabulous. (The Momentum 2.0s fold, have more flexibility working with Android and have larger earcups; I love my 1.0s because my ears are relatively small and so have a perfect fit). So now, I have the SR 80s at home, the Momentums at work and the Shures for on-the-go. Musical bliss indeed. And that’s a theme that you’ll see throughout; these three are not absolutely the best headphones ever but they provide great value for the money. You’ll notice none of them are their respective company’s highest end headphones. You also note that none are Bluetooth. I still think that it’s very hard (read expensive) to get as good a sound with Bluetooth as a wired headset although they’ve come a long way. If you want to spend a lot of money, you might get close. These also aren’t the cheapest headphones around; the Momentum’s originally went for $350 (I didn’t pay anything near that), the Grado’s are about $100 as are the Shure’s. They both are an incredible value. It speaks to the great design and construction of the Grados and the Shures that the Momentums are only marginally better. There is slightly more detail in the Momentums and they can deliver that deep reverberating bass that the other two can’t quite reach. That’s true in general as you move up the scale of audio (and most things), after a certain point you have to pay increasingly more for smaller increments of improvement. If you’re ever tempted to get Beats Pros, please try the Momentums first. 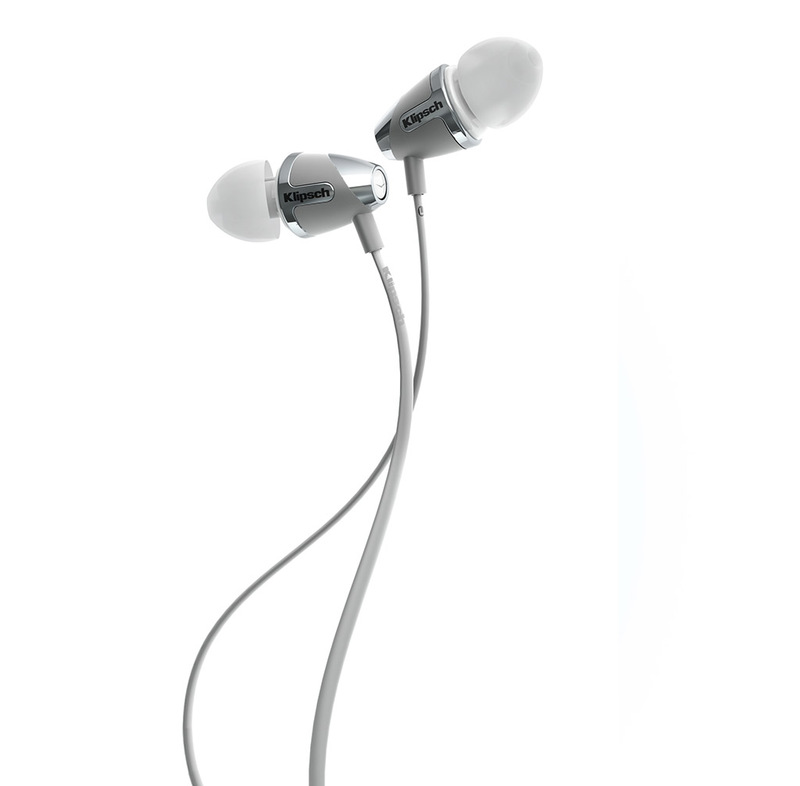 While not as iconic, they look better, provide much more clarity and detail and can still handle some kickin’ bass. Your priorities and usage, as well as tastes, may differ. Think about how you’ll use them in real life – not some ideal setting. Try some out and play around. You may discover a whole new world of sound that you’ve missed until now. Evelyn Waugh is, of course, a master of language. His descriptions, dialog and transitions are a work of art. They are as perfect as we get on this earth and yet are always convey his thought without drawing attention to the writing itself. There is no flourish for flourish sake. So, I venture the type of post I’ve not written before: a book quote. Mr. Waugh has written one of the most moving scenes in the English language of a person’s sense of sinfulness crashing down on their awareness with an overwhelming weight. It also shows what a foreign notion this sense of sin is to any non-believer and what a burden when there is no received grace. So we have Julia Flyte evoking this weight of sin to her lover Charles in Brideshead Revisited. All in one word, too, one little, flat, deadly word that covers a lifetime. “ ‘Living in sin’; not just doing wrong, as I did when I went to America; doing wrong, knowing it is wrong, stopping doing it, forgetting. That’s not what they mean. That’s not Bridey’s pennyworth. He means just what it says in black and white. “An hour ago,” I thought, “under the sunset, she sat turning her ring in the water and counting the days of happiness; now under the first stars and the last gray whisper of day, all this mysterious tumult of sorrow! What had happened to us in the Painted Parlor? What shadow had fallen in the candlelight? Two rough sentences and a trite phrase.” She was beside herself; her voice, now muffled in my breast, now clear and anguished, came to me in single words and broken sentences. “Past and future; the years when I was trying to be a good wife, in the cigar smoke, while the counters clicked on the backgammon board, and the man who was ‘dummy’ at the men’s table filled the glasses; when I was trying to bear his child, torn in pieces by something already dead; putting him away, forgetting him, finding you, the past two years with you, all the future with you, all the future with or without you, war coming, world ending—sin. “A word from so long ago, from Nanny Hawkins stitching by the hearth and the nightlight burning before the Sacred Heart. Cordelia and me with the catechism, in mummy’s room, before luncheon on Sundays. Mummy carrying my sin with her to church, bowed under it and the black lace veil, in the chapel; slipping out with it in London before the fires were lit; taking it with her through the empty streets, where the milkman’s ponies stood with their forefeet on the pavement; mummy dying with my sin eating at her, more cruelly than her own deadly illness. “Mummy dying with it; Christ dying with it, nailed hand and foot; hanging over the bed in the night-nursery; hanging year after year in the dark little study at Farm Street with the shining oilcloth; hanging in the dark church where only the old charwoman raises the dust and one candle burns; hanging at noon, high among the crowds and the soldiers; no comfort except a sponge of vinegar and the kind words of a thief; hanging for ever; never the cool sepulcher and the grave clothes spread on the stone slab, never the oil and spices in the dark cave; always the midday sun and the dice clicking for the seamless coat. “No way back; the gates barred; all the saints and angels posted along the walls. Thrown away, scrapped, rotting down; the old man with lupus and the forked stick who limps out at nightfall to turn the rubbish, hoping for something to put in his sack, something marketable, turns away with disgust. Between her tears she talked herself into silence. I could do nothing; I was adrift in a strange sea; my hands on the metal-spun threads of her tunic were cold and stiff, my eyes dry; I was as far from her in spirit, as she clung to me in the darkness, as when years ago I had lit her cigarette on the way from the station; as far as when she was out of mind, in the dry, empty years at the Old Rectory, and in the jungle. So brother and sister sat and talked about the arrangement of the house until bed-time. “An hour ago,” I [Charles] thought, “in the black refuge in the box hedge, she wept her heart out for the death of her God; now she is discussing whether Beryl’s children shall take the old smoking-room or the school-room for their own.” I was at sea. Chris Mann, the erstwhile The Voice finalist and current Phantom on Phantom of the Opera’s 25th annual tour, has dropped his second full album, Constellation (his first being the fabulous Roads album). This is a well-thought-out album where the songs simultaneously mesh nicely but vary stylistically enough to never bore. We have the initial “North Star” which brings out the constellation theme, but also provides the focus point from which to gauge the album. This song lets us know that the album will be characterized by noble themes of steadfast love, holding fast through storms, hope, and remaining true. It’s not sappy or sentimental but it is graceful and positive (while fully recognizing pain). It also speaks to a well-produced album which provides a nearly perfect balance of rich sound without being overly produced, we have intimate sound yet a full sound stage. A deft and precise hand guided this album from the cover (seriously cool), to sound engineering and the content included. If there’s any fault, it’s that the liner information doesn’t contain lyrics. Here we have mostly newly penned songs by Mr. Mann and brilliant co-writers such as Justin Tranter, Amy Foster, Felix Snow, Liz Rose and Mark Hammond among others, let’s emphasize that fact. Just sayin’. All of that is so much detritus, however, were it not for the main event – Chris Mann’s voice. Mr. Mann is in firm control of this instrument, hitting each song with perfect pitch, a considerable range, and crystal clarity. There are no misses on this album; it is a thorough delight. As noted above, “North Star” sets the tone for the album. While Mr. Mann has a more authentic stylistic range than other “pop opera” singers, this song is certainly within his stylistic wheelhouse. It is the North Star of the album, setting the course of clear, pitch-perfect and impassioned songs. We have all felt “hope sinking like a stone…” There is no doubt that waves and storms will come; sometimes we doubt and stop believing in others. While ultimately God is the only fully firm guide, He enables us to be “North Stars” for one another. Here Mr. Mann sings an ode to that willingness to standing firm in the midst of the storm. In “Rain Like This,” Chris Mann flexes his stylistic muscles with what at first appears to be a pop ballad that slowly melds into full-on pop. As I listen to the song I could easily imagine Lady Antebellum being featured on it. It’s fun to see similar themes of love in the midst of a “rain like this” changed up stylistically. The next three songs, “Echo”, “Away” and “Slow” are, like “North Star,” in Mr. Mann’s sweet spot. They have that more robust, richer timber signature of a pop ballad. Each is well developed. For example, the underlying beat in “Echo” echoes while off-setting the melody. I particularly like the intimate relationship the image of voice and echo portrays. In “Away,” the underlying beat plays a different role of a heartbeat trying to find strength in separation. I also love the way the song builds from subtle nuanced singing lightly touching the notes to the big sound of crying out ”how am I supposed to find a way without you” and finally tapering off. I’m assuming Mrs. Mann (as well as others) swoons as she listens to “Slow” which is nearly the perfect love song: “ I don’t ever want to rush what matters most.” Now listen carefully to “Slow” for its perfect phrasing: the timing, lift, and release all perfectly mesh to portray its message that whatever it takes, we will go slow because this love is important enough. These songs provide a great picture of the album. I hope I convey a sense of its message it sounds and it’s spot on execution while leaving it to you to explore. So now I’m going to wander a little more quickly through some highlights of the rest. I must confess I have a special place in my heart for “To the Moon and Back.” Not only does it have this delightful folk song sound with its guitar background and phrasing, but it harkens back to the days of reading Guess How Much of I Love Yo to my children. You take a children’s theme of love and a turn that into romantical love is just a brilliant move. “Come Back” starts out as if it’s a 70s anthem from Queen and morphs into a country crossover song. Once again Lady Antebellum comes to mind (no idea why they’re on my mind). It’s a great song that definitely stands out on the album. While “Love and War” continue the theme of the back & forth, ups & downs of love, it stood out as a showcase of just how high Mr. Mann’s voice can go. There was a point in the song I thought he had a woman join him; it’s him along. He doesn’t have a falsetto sound; there remains power beneath the high notes. Really impressive. You may, like me, have been pulled up short by the long, drawn out pacing of “Fly Me To The Moon.” Many of us have Frank Sinatra’s (or, more contemporarily, Diana Krall’s) version of the song embedded in our head. Mr. Mann interprets this song as a slow, lyrical ballad. This change from a relatively quick paced jazz song is not without precedent; singers like Tony Bennet and Rod Stewart have taken a similar approach. (We’ve even a bluesy R&B version from Bobby Womack and a bassa novaesque one from Astrud Gilberto). Having listened to this a number of times now, this version growes on me. Rather than snapping my fingers as it moves along, this version has me picturing myself in a smoky jazz club sitting back next to my beloved with a single malt scotch being gently swirled in my hand as I allow the music smoothly waft over the top of me. Not a bad interpretation. So it’s got to happen. There is no holding back. How can you review someone like this without some comparisons and in particular comparing Chris Mann to Josh Groban. Both are great. I personally believe Mr. Groban has a bit more power and a slightly larger range on the bottom, but I believe Chris Mann has more flexibility among different styles of music. He’s believable sounding with straight pop and crossover country as well as “pop opera.” While he is clearly his own artist, one way to think about this would be like merging 70% Josh Groban and 30% Michael Bublé. However you want to characterize him, his voice is pure, powerful and, dare I say, lovely. I have seen few albums better put together. I highly commend, without any reservation, Constellation to your listening pleasure.